25 -28 cm (9.75 - 11 inches). Weight is around 18.75 - 23 lbs. The hair on the coat is wiry and hard. Colors can be plain black, black with highlights, and wheat. Scotties become very attached to their family, are watchful, noble, and sporty, and think for themselves. Scotties become very attached to their family, are watchful, noble, and sporty, and think for themselves. The dog is naturally inclined to get along with other pets. Scotties are good with children, provided that the children treat them with kindness You can find Scottish Terrier puppies priced from $500 USD to $1700 USD with one of our credible breeders. Browse through our breeder's listings and find your perfect puppy at the perfect price. The coat needs to be professionally hand-plucked biannually. The chest, legs, and head are normally clipped. Regular grooming with a brush and comb is required. If training is consistent, it should be relatively easy. A Scottie's independence should always be respected in the training process. The exercise needs of this dog are uncomplicated. It will adapt itself to the activity level of your family. Remember that it loves to dig. Scottish Terrier Puppies for Sale - Shipped Worldwide! Finding the right Scottish Terrier puppy can be dog gone hard work. PuppyFind® provides a convenient and efficient means of selecting and purchasing the perfect Scottish Terrier puppy (or Scottish Terrier puppies) from the comfort of your home, 24 hours a day, 7 days a week. Take advantage of our PuppySearch or leisurely browse our directory of hundreds of dog breeds, Scottish Terrier dog breeders, Scottish Terrier dogs for adoption, and Scottish Terrier puppy for sale listings with photos and detailed descriptions. Some Scottish Terrier puppies for sale may be shipped Worldwide and include crate and veterinarian checkup. 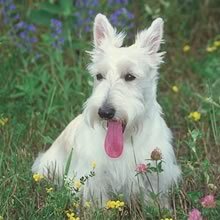 Many Scottish Terrier dog breeders with puppies for sale also offer a health guarantee. With thousands of Scottish Terrier puppies for sale and hundreds of Scottish Terrier dog breeders, you're sure to find the perfect Scottish Terrier puppy.